In the world of tech, thinking ahead is of key importance to success. And for this exact reason, many companies and undertakings have fallen victim to the "too-ahead-of-its-time" trap. Back in the 90s, Apple attempted to kickstart the mobile revolution with the Newton – a revolutionary PDA equipped with a touchscreen that was pushing the boundaries of handwriting recognition on a portable device in 1993. Boundaries which, at the time, were quite narrow. Needless to say, the device failed to achieve its true potential, with one of its biggest features remaining a humorous footnote in tech history. The Apple Pippin suffered a similar fate. When the company launched this infamous (and endearingly nostalgic) promo video for the Pippin in 1996, it wanted to answer the question on everybody's mind as quickly as possible, "what is the Pippin?" Why, haven't you heard? 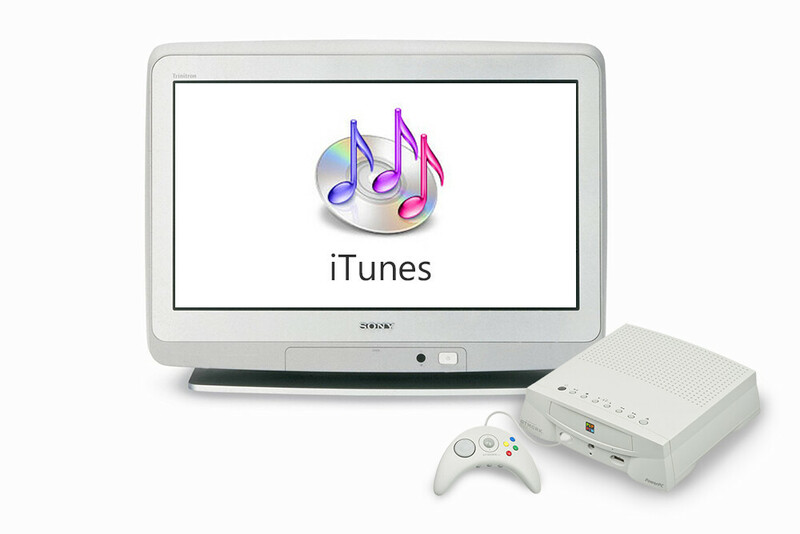 It's this rad new video game console multimedia player thing from Apple! It connects to the Internet! And though the Pippin failed spectacularly, the same core idea of a powerful multimedia machine still lives today in the form of Apple TV. And it will live on long after Apple TV is gone. Apple recently announced something rather surprising – it was opening its walled garden, but not to let someone in. Rather, to release iTunes and AirPlay free into the world. 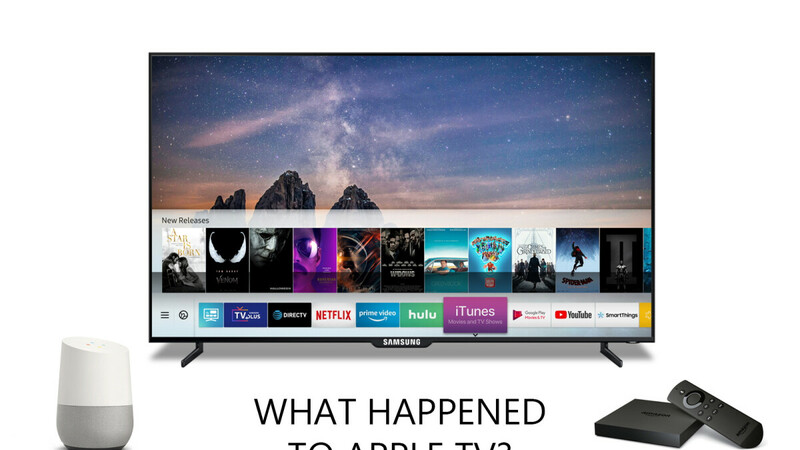 The company revealed that two of the biggest selling features of the Apple TV (for people in Apple's ecosystem anyway) are coming to smart TVs from Samsung, LG, Sony, and Vizio starting this year. And that's great. Enabling more people to do what they want cross-platform is the way to go. And yet, why would Apple do this decidedly un-Apple thing? What went wrong in the beginning? In a time before streaming, Apple TV was ahead of its time, but it was also marketed as merely a device that let you view your own media on a TV. Apple also openly called it a "hobby thing." It wasn't priced to match this description, either. Apple TV has failed to take off in popularity, at least to the extent its creators had envisioned. 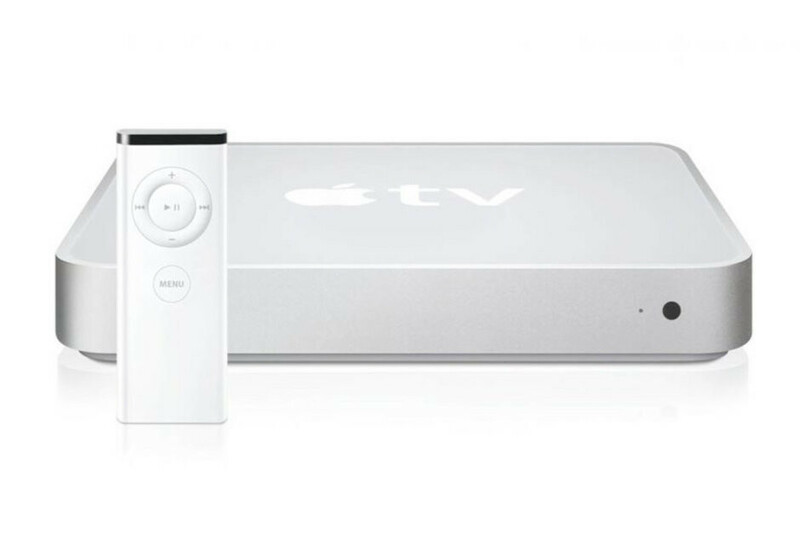 It was way ahead of its time when it first launched in 2007, but Apple missed a lot of opportunities with its multifarious set-top box over the years. At a critical time, in the wake of streaming, Apple TV was still running a heavily modified version of iOS that was locked to a default set of apps. Provided, Apple covered the needs of the majority of users with proprietary apps for the biggest streaming services, but the likes of Roku, Amazon, and Google were quick to put out more capable devices out on the market that were also priced lower. It wasn't until 2015, when the 4th generation of the set-top box launched, that it got tvOS – an much more capable operating system based on iOS that allowed developers to easily port their apps. It was also at that time that Apple returned to the idea of marketing the device not as a mere set-top box, but as a gaming machine as well. Thus began Apple's push to gain the attention of developers by heavily marketing the TV as a gaming machine, actively attending every major gaming expo, and pouring money into exclusive titles. Unfortunately, this didn't pan out for Apple. Even with the huge variety that the App Store offers, with the power of Apple's custom CPUs, and with the special remote/controller of the Apple TV — which, in theory, should have been enough — developers were not on board. Last year, Minecraft developer Mojang announced it was pulling the wildly popular world-building game from Apple's TV set-top box, while other developers also expressed concern for the future of the device as anything but a streaming machine. That's rather telling, as Minecraft is currently available on everything. Heck, it recently got its last update on the Nintendo Wii U – a system that's as dead as can be! Apple's biggest initial mistake when marketing the Apple TV as a gaming machine was to force developers to make their games compatible with the Siri remote, which comes bundled with each unit. On one hand, it made sense, because that eliminated the necessity of buying a separate controller, but on the other it was a very limiting and frustrating experience for developers, who had to make complex games run on a little remote with a touchpad and five buttons. Apple reversed this decision in 2016, but it was too little, too late. The current, 4K capable Apple TV is actually not doing bad, in terms of sales. Even with its significantly higher price tag, sales numbers from Thinknum indicate that the Apple TV is doing a close second to the Amazon Fire TV in 4K streaming device sales. So, who knows, maybe it will rebound in 2019. Users who are already in the Apple software ecosystem are likely to buy the Apple TV for iTunes and AirPlay 2, but with the recent announcement that these are coming to pretty much all major smart TV brands in 2019, there's little incentive left to buy the Apple TV. Well, there's the nice, smoothly-performing UI, but little else left to tempt people to drop the extra $100 or so for Apple's set-top box. Apple TV is priced in such a way that it is more expensive than comparable offerings for streaming devices from other companies, yet lower than dedicated gaming devices (that also have streaming capabilities). The problem is that Apple TV is more a set-top box than it ever will be a gaming machine, which makes the price tag hard to justify. It's a good thing that Apple is opening its services to other platforms. The company seems to be recognizing that there's more to be achieved in allowing users in different software ecosystems to access its services, rather than locking them to hardware that may or may not prosper in an oversaturated market. This could be considered a win-win for both companies and consumers – those with many iDevices will still be able to use them in tandem with products from other companies, while those who haven't used Apple services before will be able to try them out without buying an iDevice. It's still early yo say how far Apple would be willing to drop the drawbridge, but it's secret to no one that Apple is working on its own "Netflix" — with high-budget original shows and feature films — that it can only benefit from if its available on as many platforms as possible. In the end, even if the Apple TV didn't become quite what it could have, it is still a solid platform, albeit more expensive than comparable offerings from other companies. Whether Apple continues to update it or not, two things are certain – first, the current 4K Apple TV will be supported for years to come; and second, Apple's streaming services will be available on many other platforms in the future. Propably most who bought 4K Apple TV did that mostly alone to enjoy that great 4K movie selection what iTunes offers. I bought 75" TV and same day upgraded my Apple TV to that 4K version and it's been amazing ride. New 4K movies coming all the time and price is same than HD version. If you buy physical 4K movies they cost lot more than normal blu-ray, which is very bad for 4K, That horrible pricing already killed 3D in home theaters and i'm sure it doesn't do good for 4K blu-ray business either. Thank god Apple is fighting against movie companies so people can enjoy these amazing looking 4K movies like ready player one with great pricing. While it's absurd that there is such a difference between 4k BlueRay, BlueRay & DVD, they are physically 3 different storage media type. While streaming is not (they transcode 4k to lower resolutions). Besides I don't know anyone that uses physical players anymore, everything is streaming. But Apple is fighting against movie companies in what way? Most movie stream services don't charge extra for 4k. Btw, ready player one was nice but I regretted have it seen in the cinemas. "But Apple is fighting against movie companies in what way?" When Apple started offering 4K movies, movie companies wanted 4K movies to cost more in iTunes. Googled that and it seems while Google (among others) do offer this as well, they were later to the 4K party. Explains why only Apple made head news with this. Good on Apple, because asking more for the same movie is bonkers. Midan if Apple made a shellac poop, then you would be preaching how great it is, and that it's the best, bla, bla, bla. The real problem was Apple's pricing and saying it's a game console that has access to the app store. When in reality the vast majority of iOS apps won't work on Apple's TV hardware. Why? Because the vast majority of developers made iOS apps that support touch screen displays for iPhones, iPads, and iPod touch devices. Apple TV has no touch screen, so now developers have to modify their existing apps in order to get over that hurdle, but some touch games wouldn't work properly or just would not translate over to a non touch input game, period. The other thing is Apple's latest 4k TV has only 3 gb of RAM and 32 gb of storage. If you paid more then your only other option is 64 gb of storage. But that is not the worst part. All the big console platforms allow multiple players and can run at 4k. That's not to say Apple's 4k TV can't run any mult-player 4k games. But when you have to add all the controllers, then you are up to the price of real AAA game consoles. But you will never see an Apple 4k TV run AAA titles with 4 players in split screens playing with other players, like call of duty. That is not going to happen on Apple's current Apple 4k TV. Especially when the 10X SoC doesn't even run at 1/2 a teraflop. The big consoles like the PS/4's or XBox's AAA titles can run up to 4 split screens while processing and seeing other players online. If Apple wants to claim to have a real console, then they have to beef up their AX SoCs even more, by adding more RAM and more storage as well. Otherwise Apple's 4k TV will still be playing in the little leagues. "Midan if Apple made a shellac poop, then you would be preaching how great it is, and that it's the best, bla, bla, bla." Sure sure, then why i don't own Mac, AirPods, Apple Watch or HomePod? "The big consoles like the PS/4's or XBox's AAA titles can run up to 4 split screens while processing and seeing other players online. " I've had a PS4 since launch and can barely find any 2 player split screen games (COD was basically the only well known one), so where the hell are you finding 4 way split screen games? Apple also needs to include a free game controller. Like all the other games consoles on the planet. Especially when Apple or articles like this claim it to be a game console. I actually love my apple tv 4. That said, its the same thing with apple especially in the last few years- PRICE. If they keep raising their prices like this I cant justify it anymore. That goes for a few other manufacturers as well. It's not a mystery why Apple tv did not take off. Apple was early on having a device to stream/play your movie/tv contents. Apple's problem is their outrageous prices, combine with their commitment to pushed the damn thing. When you spend over a decade printing money they way they did and still do, the tv streaming thing is not where your priority is. Apple also spent/waste a ton of time trying to make a deal with the existing cable companies instead of doing what Nexflix did. Netflix was willing to do whatever they needed because that is their business. For Apple, that was never the case and frankly the margins are simply not there for them to care. Even now, Apple is joining the game because they see it as a way to grow their service and keep folks in their ecosystem. This is never going to be their bread and butter, which means, they will never be as good as those other guys (Netflix, HBO etc.). I love my Apple TV. It's super fast and responsive. The major reason why I don't like the smart TV apps. All the apps just work without any issues. At least for me. This! Exact same apps works so much smoother with Apple TV than smart TV apps. I love mine, too. I got an Apple TV 4K when they were during the DIRECTV NOW promotion and I like it better than both the Roku and Amazon Fire Stick that I currently own as well. It's much more responsive and the integration with other streaming apps is definitely more in-depth than the others. The only thing is that I wish there was a dedicated Spotify app but you can work around that with Airplay.